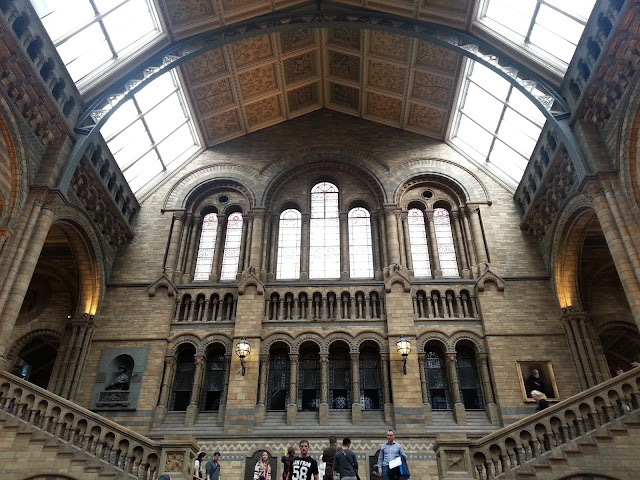 "The queue seems short," I told the kids as we walked towards the entrance of the Natural History Museum in London. I always call it National for some reason? It's definitely Natural. Entertaining the kids for the next three odd weeks is always a challenge, so on one of our adventures we decided to head for a date with a T-Rex. 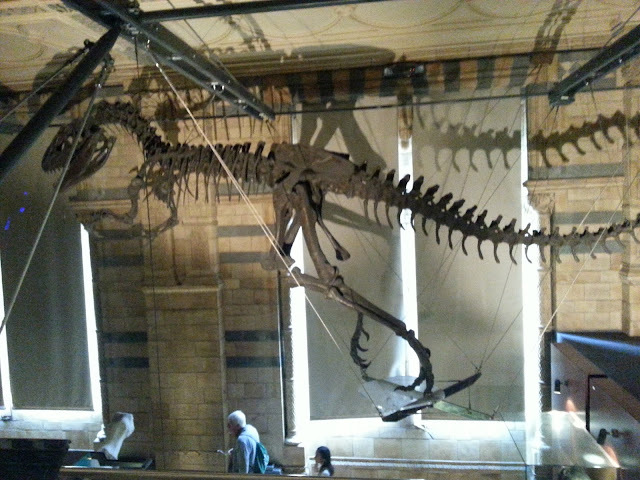 Although when we arrived we talked more about Paddington than T-Rex. Well key scenes from the film were shot here and we tried to look at where those shots were taken. Didn't find them. Its a great film if you haven't seen it. I digress, back to the queues. I said there wasn't a queue but those fiendish organisers had made us walk snake like into a queueing system. It didn't take too long but be warned it can get very busy. Once past the security and the vendors selling programmes you'll come face to face with a few options. Join another queue for the dinosaurs; we do love a queue, head up the flight of impressive stairs (a little nod to...as you go) and the galleries on the upper floors or go through the lower chambers, pop into the cafe and then be dragged around the shop. We chose the extra queue for the dinosaurs first and then it was being dragged around the shop. So we joined another snaking queue, firstly taking us around the diplodocus (soon to be replaced by a Blue Whale) on a merry dance and then through a raised walkway guarded by Raptors! "Go away!" said K, "Rarrrr" said I along with the Raptors. This route takes you past the mechanical T-Rex, roaring at the smart phone snapping public as they are ushered through. You really don't get long, so be warned. After that you're taken through the history of the dinosaurs, all very interesting but not for a three year old who kept telling the animatronic Raptors to "go away" and not a patch on the T-Rex. Thereafter it's a case of exploring the great halls further or head off to other museums. The Natural History museum is free, it's fun and informative (although to be honest I'm not that bothered about gems section), its entertaining and most importantly its a great place to take the kids during the holidays , especially if you are visiting London. So get your dinosaur gear on, and go and visit our ancient friends. 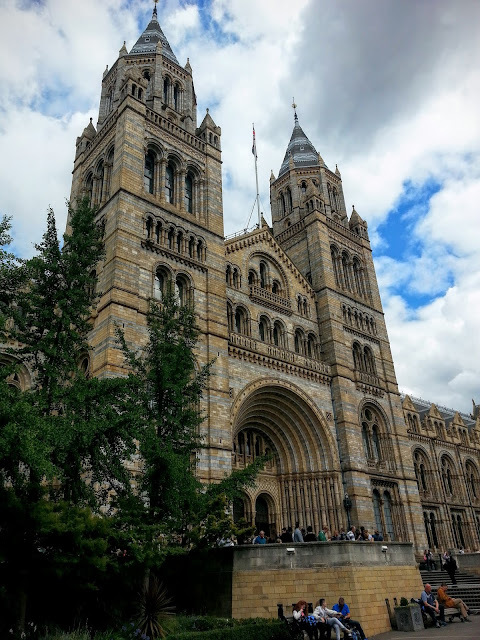 Have you been to the Natural History Museum? Did you enjoy your time there? Would love to know.